Tonight is our town’s local goth-industrial dance night! 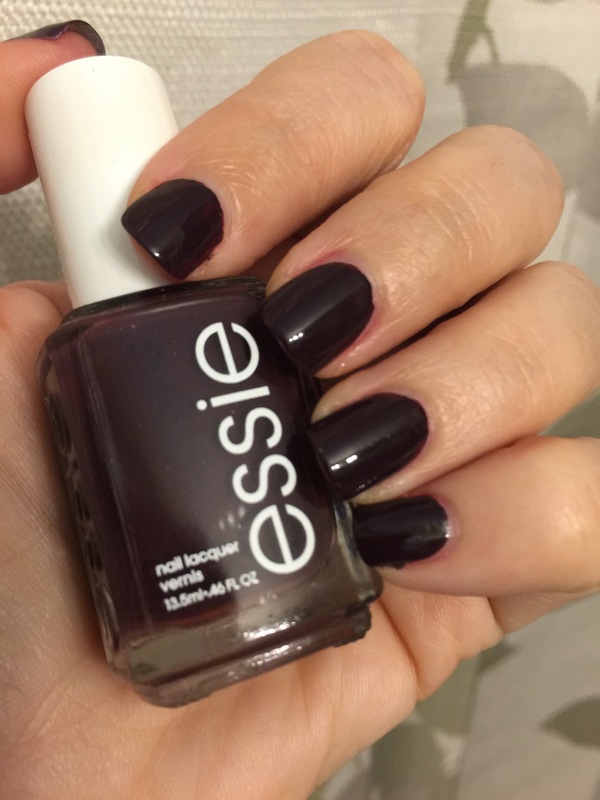 I usually wear brights or reds in the summer, but for tonight, I felt like getting my goth on, so I got out this great black-plum-red color, Essie’s “Carry On.” I think this may still be in stores, but I bought it last fall. It is definitely still sold on their website and many other sites. This is reminiscent of Chanel’s Vamp/Rouge Noir, only more on the plum side than the burgundy side of black. I hate to hear they re-released Rouge Noir last year and I wasn’t paying attention, because they now go for $150.00 on eBay. Thanks, Uma Thurmond. This entry was posted in beauty, beauty blog, beauty blogger, Nailpolish, Nails and tagged beauty, beauty blog, dark nail polish, Essie, goth nail polish, goth nails, home manicure, nail blog, nail laquer, nail polish, nails, natural nails, rouge noir, vamp by Rachel. Bookmark the permalink. I love dark vampy plums. Real question: what’s the difference between steampunk and goth-industrial?